Artist has been having a blast and learning a ton with the Elementary French 1: Grades 3-5 course from Middlebury Interactive Languages that we received to review! 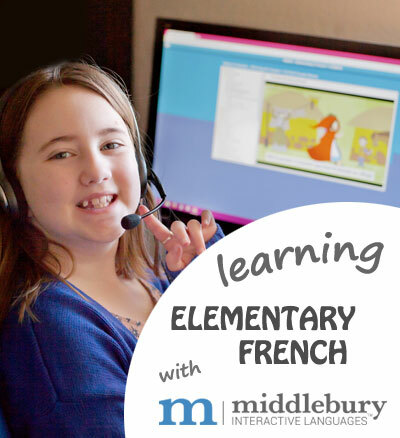 Middlebury Interactive Languages offers online courses in Spanish, French, Chinese and German for grades K-12. 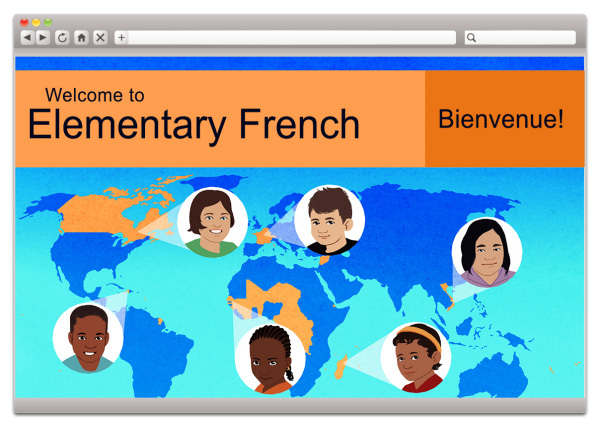 Elementary French 1: Grades 3-5 is a great introduction to the language. Lessons include games, songs, and activities that engage Artist with the French language in a fun, stress free way! Far from merely memorizing words, this course provides interactive lessons that focus on teaching some basic vocabulary while also exposing her to the culture with authentic myths from various French-speaking cultures, songs, and stories. 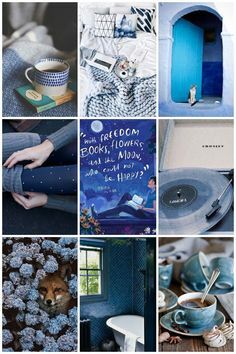 This immersion also helps her become familiar with the way the words sound and the way they flow when in a sentence and what sort of a feel the language has so that it becomes less and less foreign feeling as she progresses through the course. Each lesson also offers opportunities for her to record herself speaking the words she’s working on and listen to her recordings which really seems to be helping her become more comfortable with saying the words, as well as getting better and better at pronouncing the words correctly. Artist has been doing two to three lessons a day, and at that pace she’s completed almost half the course in about 6 weeks. If she followed the calendar that lists one lesson a day, five days a week, she would finish in just over 4 months, so if she’d started in mid-August it would have her finishing just in time for Christmas break. Some of the units she’s worked through so far have introduced her to French greetings, numbers, names of different family members, colors, and days of the week (and more). She’s finishing up the final lesson in the first half of the course now and then she’ll work through what looks to be a nice, thorough review! 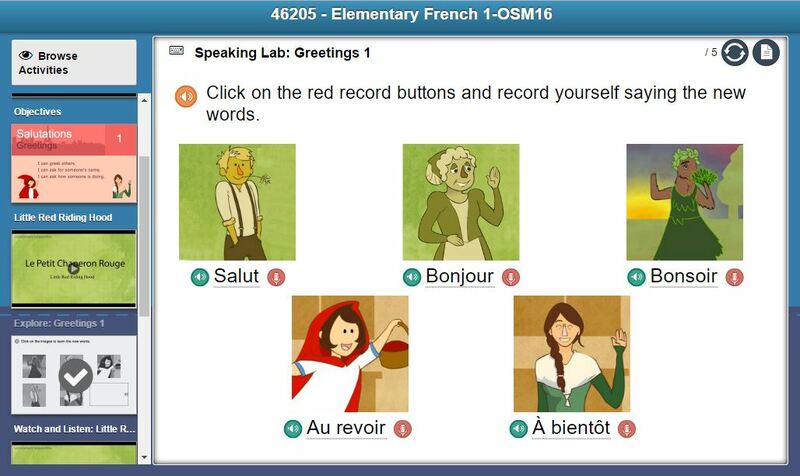 In the second half of the course, some of the units she’ll study will introduce her to French words for some common foods, weather, clothes and more. Then she’ll finish up the course with another good review. Artist says she gives Elementary French 1: Grades 3-5 from Middlebury Interactive Languages two thumbs up! She’s been learning a lot and retaining most of what she’s learning, which is saying a lot since she doesn’t have anyone to practice with. Artist also says she hopes she can work through the next level of French from Middlebury Interactive Languages when she’s done with this course! I love seeing her excited to learn French. She’d tried once before with a different program and quickly became completely frustrated and discouraged. The first day she started this course, I told her she had to sit down and work on it for ten minutes, even though she felt completely opposed to the idea…and then she fell in love with the program and she didn’t come up for air until about an hour and a half later! The course is really helping her get a good grasp on authentic pronunciations of the words she’s learning, which is awesome, because they’re sometimes incredibly challenging (at least they seem challenging to me). I’m incredibly grateful for the fun, stress-free environment that Middlebury Interactive Languages has developed to help her begin her journey into learning another language with confidence and a positive experience. 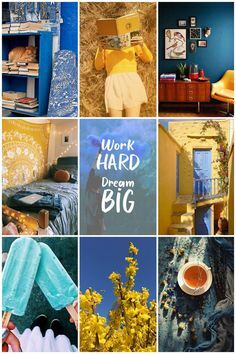 And after seeing her ready to give up on her dream of learning French before she began this course, the fact that she now feels like she really can learn the language if she keeps working on it is pretty much the best thing ever. 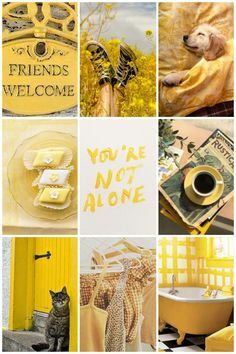 Be sure to hop over to the Homeschool Review Crew link-up to see what other reviewers are saying.